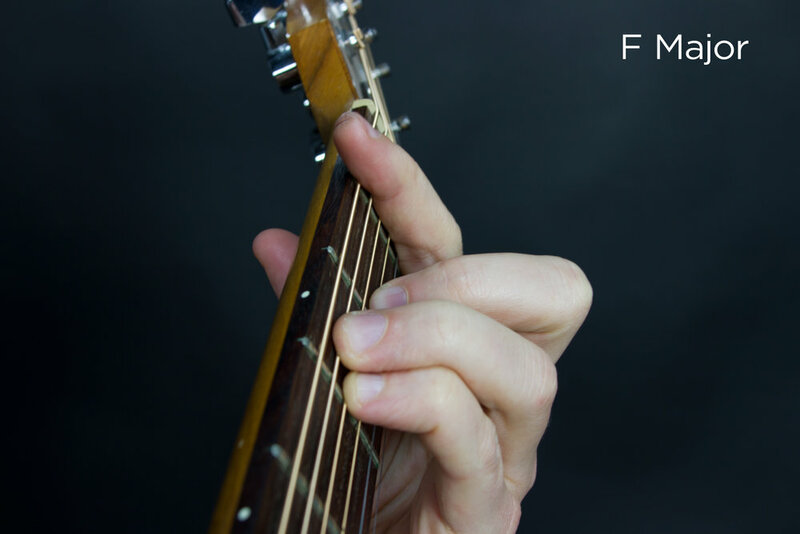 Barre chords, sometimes spelled bar chords, are chords where you hold down more than one string at a time with a single finger. The name probably comes from the same exact barre that you'd imagine ballet dancers practicing and stretching on. Barre chords are very difficult for beginners to play. They require far more tension and balance than an open chord like G major. This humble blog post can't help you learn guitar barre chords because the topic is complex. Instead, this post is here to warn you about them. Guitar barre chords are immensely difficult for beginners to play. They are not appropriate challenges if you are brand new to the guitar. * So, then, when exactly is the right time to learn them? I recommend to beginners to ignore guitar barre chords until they can handle playing 20 songs that use only open chords, on their own. The reason is twofold. First, your momentum will be at an all-time high. It's best to tackle barre chords when you are feeling awesome about guitar and are up for the challenge. Second, knowing open chords intimately will make the process of learning guitar barre chords a whole lot easier. Your technique will be stronger and more precise. You will be ready. If you want to just jump in to guitar barre chord, please be aware of your level of frustration during the process. Many beginners quit playing guitar after being defeated by barre chords even though there are millions of songs out there that don't use them at all. 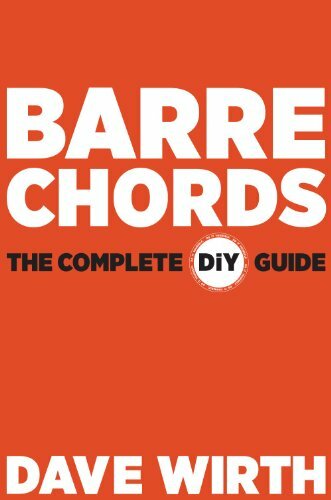 Keep in mind that you could prospectively play guitar for years without running out of songs that use only the simplest open chords like G, C, and D.
If you really want to dig into barre chords and need some help, check out the book Barre Chords: The Complete DiY Guide. I wrote down everything I know about learning barre chords in that book. *If you decide that taking face-to-face lessons is best for you, be on the lookout for teachers who try to teach you a barre chord on the very first lesson. Teachers who do this have no idea of how to challenge you appropriately, and it's best to find a different guitar teacher altogether.